After quitting as Delhi Chief Minister Arvind Kejriwal's counsel in the defamation case against Arun Jaitley, senior advocate Ram Jethmalani in an explosive letter has revealed that the Aam Aadmi Party (AAP) chief "used worse abuses" than 'crook' for the Union Finance Minister. Firing a fresh salvo at his former client, the senior counsel alleged that the Delhi Chief Minister had instructed him to use derogatory words against Jaitley. "When Arun Jaitley filed the first suit and criminal case, you naturally sought my services. Ask your (Kejriwal) conscience how many times you used worse abuses than a mere 'crook'. 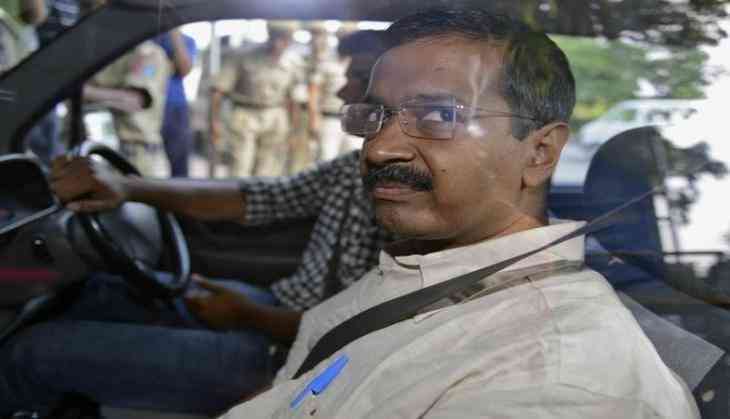 You have hundred times asked me to teach this crook a lesson," the lawyer said in a letter that he wrote to Kejriwal on July 20, a copy of which was uploaded on his blog. On July 26th, Jethmalani announced that he has quit as the counsel of Arvind Kejriwal in the civil defamation suits filed by Jaitley, and accused the Delhi Chief Minister of blatantly lying to him. Speaking to ANI, Jethmalani said, "The reason behind it is he (Kejriwal) has spoken a lie. He has gone and said that I have not given any instructions, but fact is he did and I have them recorded. I'm not disappointed at all; I did all that I could do. If he does not pay me I don't mind, because I have fought for many for free. It does not make a difference if I lose one". Earlier on July 22, amidst an ongoing tense round of cross-questioning between Jaitley and Jethmalani, the former was perturbed after being referred to as a 'crook' by the 93-year-old veteran lawyer, in his defamation case against Kejriwal. Baffled by the 'abuse' hurled at him, Jaitley demanded a clarification from the senior counsel whether this was the result of a personal tiff, to which Jethmalani clarified that the term was used under the instructions of Kejriwal. Jaitley also alleged that he was asked scandalous questions and attempts were made to delay the proceedings in the Rs 10 crore civil defamation suit, which he had filed against Kejriwal and five Aam Aadmi Party leaders in 2015 in DDCA matter. The Chief Minister, however, clarified in the Delhi High Court that he had not asked Jethmalani to use derogatory and objectionable words against Jaitley. In December 2015, Jaitley had filed a civil defamation suit against Kejriwal and AAP leaders Kumar Vishwas, Ashutosh, Sanjay Singh, Raghav Chadha and Deepak Bajpayee, claiming that they made "false and defamatory" statements in the case involving the Delhi & Districts Cricket Association (DDCA) thereby harming his reputation.